WWE has been hyping next Sunday’s upcoming WWE TLC PPV with several videos related to the stipulation, including one featuring Jeff Hardy. 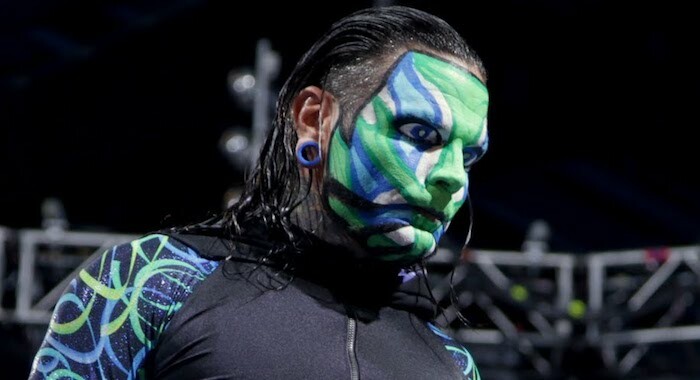 The company continued its tradition of having two superstars watch back an old match that relates to the upcoming PPV by having Jeff Hardy and WWE road agent, D-Von Dudley re-watch their classic tag team TLC, which you can see below. On top of the above video, WWE has also dedicated its latest Top 10 list video to TLC, looking at the top 10 OMG moments from TLC matches, as you can see below. As well as the plugs for WWE TLC, the company also uploaded its latest episode of WWE Now where this week, the video looks into Baron Corbin making Heath Slater a referee.